The UK aspires to Scandinavian levels of public services with American levels of taxation. Public spending (40% of GDP) is average for the developed world, but tax receipts (33% of GDP) are well below average (Germany: 37%, Netherlands: 38%, France: 46%, Denmark: 47%). The problem is not that we spend too much money, but that we raise too little money. Spending cuts starve public services (while demand increases every year). And taxes are not spread fairly across society: the richest 10% pay just 34% of their income in taxes, but the poorest 10% pay 42% of their income. Let us look at corporate taxes (the subject of our Fair Share campaign, taxjustice.uk/fairshare) as an example. The UK has the lowest corporation tax rate in the G7, and recent rate reductions have cost the exchequer £16.5 billion per year, according to the IFS. Many multinational companies pay less than the ‘headline’ rate through tax avoidance, costing the exchequer many billions of pounds every year. And tax reliefs for large companies cost billions of pounds every year, yet the government does not monitor their exact costs or attempt to analyse their benefits; many are likely to be unnecessary at best, if not actively harmful to the wider economy. Why has this situation come about? Party politics play a role, but the underlying dynamics have not changed significantly in decades. The UK economy is overly dependent on – and geared to the interests of – its finance sector. Politicians routinely equate the interests of the City of London with those of the country of the whole, but many policies that protect the interests of the financial sector harm the living standards of many people in the UK and jeopardise the success of other areas of the economy. The UK’s model of capitalism and underpinning ideological assumptions support an uncritical adoption of harmful notions such as the need for nation states to ‘compete’ in a race to the bottom on tax, regulation and the size and remit of the state in the interests of ‘capturing’ mobile global capital and business, when in fact it is global capital that has arguably ‘captured’ the state. Research by the Fabian Society in 2015 found that people “feel a strong sense of solidarity, citizenship and obligation with respect to the payment of taxes”, and are “proud of the UK’s public services, and proud to contribute to them”. The 2017 British Social Attitudes Survey found that 48% of the UK public want higher taxes, with only 4% wanting them lower. 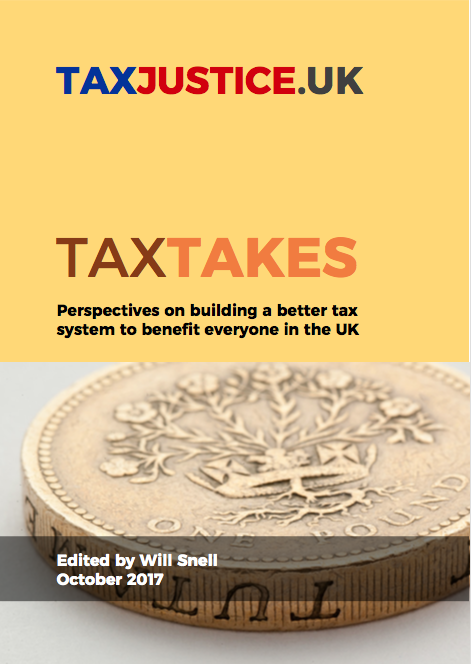 We strongly believe that there is a void in the debate around tax in the UK, which is crying out to be filled: championing the role of tax in building a civilised and fair society, with strong public services and a dynamic and inclusive economy. We fully intend to fill that void.